The MCPP offers students, alumni and other interested individuals the opportunity to work behind the scenes with the University's outstanding museums and cultural collections. 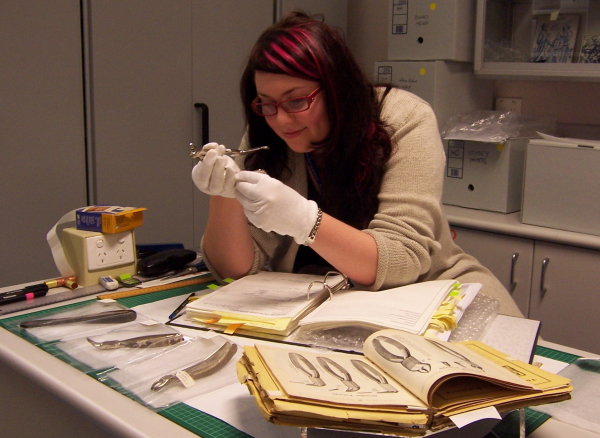 Engaging with a wide range of collections, the projects offered this year include cataloguing and research, preventative conservation, public programs, curation and exhibition development. The Program’s projects are designed to provide engaging, specialised experiences that have real value to participants through the acquisition of new vocational skills and the advancing of professional development and networks. The projects also benefit the University’s museums and cultural collections by contributing to their long-term management and ensuring they remain an accessible, relevant and dynamic resource.